In front of me is Killer Croc—a real, flesh-and-blood iteration of the Batman villain—and he is absolutely terrifying. Imprisoned in a dark, swampy, underground cell, he sits somewhat contemplative as a stark fluorescent light illuminates his grim surroundings. Suddenly, a sound is heard overhead. A gate opens. And then, somewhat comically, a goat carcass drops from the sky, splashing in Croc’s watery surroundings. This stirs him, finally, and he gets up and starts over towards the resting place of his dinner. He’s walking, but he seems to swim through the air, moving his head and shoulders in a sinuous motion as he saunters over to his prey. He arrives at his destination and proceeds to rip a leg off of the animal, taking his first tasty bite in what is surely the highlight of his long, solitary day. That Killer Croc exists onscreen in live-action form is hard to believe in and of itself, but the fact that the character is one of a host of odd, damaged, and terrifying creatures in a Suicide Squad movie is truly a minor miracle. As the “Superhero Movie Wars” are well underway, Warner Bros. chose this material, a story where the villains are the “good” guys, to follow-up Batman v Superman: Dawn of Justice, an onscreen pairing that society had been anticipating for decades. 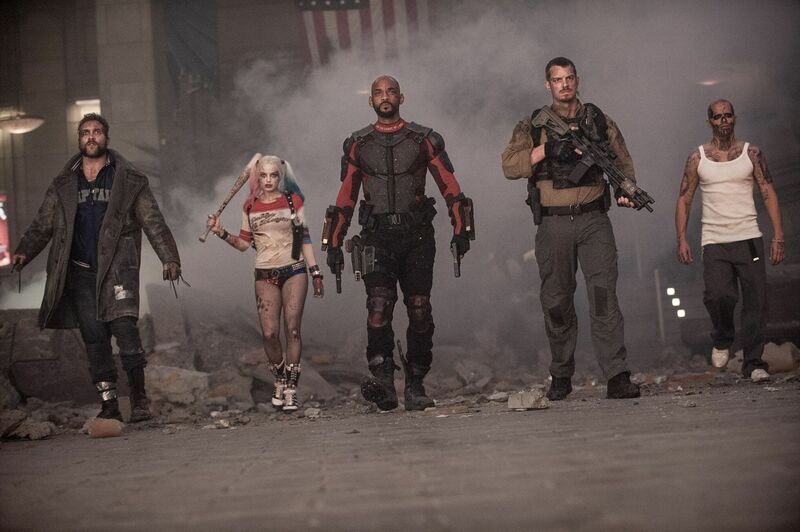 And with David Ayer at the helm—a filmmaker who’s shown a talent for telling tough yet highly character-driven stories in films like Fury and End of Watch—Suicide Squad promises to be one of the most striking superhero films of the modern era. Last June, I was invited to the Toronto set of Suicide Squad along with a small group of reporters. At that point, awareness of the film was high thanks to Batmobile-involved sequences being shot on some of Toronto’s busiest streets, and Jared Leto’s unique iteration of the Joker was the talk of fans the world over. But one of the biggest takeaways from my time on set was that even though the public may have thought they had a handle on what Suicide Squad would be, the truth was only the tiniest sliver of information was known. Our set visit involved trips to the “War Room” (which was plastered with promo photos of the cast in full costume as well as some fantastically dark and violent concept art), a massive soundstage that was in the process of being converted into a truly remarkable train station set that figures into the film’s third act, a smaller soundstage that housed Killer Croc’s swampy cell, and a brief look at an outdoor set that had been converted into a Midway City street in the midst of a chaotic action set piece. Moreover, we were able to sit down and speak with Margot Robbie (Harley Quinn), Adewale Akinnuoye-Agbaje (Killer Croc), Joel Kinnaman (Rick Flagg), Jay Hernandez (Diablo), Karen Fukuhara (Katana), and of course Ayer, as well as other vital members of the production team including costume designer Kate Hawley and producers Charles Roven and Richard Suckle. There are many different ways a Suicide Squad movie could go, but Ayer summed it up rather nicely by explaining that it’s something like a Batman movie from the villains’ point of view. The film isn’t entirely linear and involves plenty of flashbacks, but the present day scenes begin at Belle Reve prison—a penitentiary located in remote Louisiana that officially doesn’t exist. The purpose of the prison is to house individuals that have superpowers, whom the government doesn’t entirely understand. All of the Suicide Squad members have their own, separate cells and have no interaction with each other—until Amanda Waller is in need of an expendable team of assassins, that is. The Joker, meanwhile, is holed up in an old, decrepit Arkham Asylum, where Harley Quinn is also being housed. 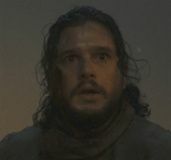 Quinn is considered so psychologically dangerous that she is held in a Hannibal Lecter-style cell that’s entirely open, and the guards are continually rotated so that she can’t get too deep inside one person’s head. The production team was fairly guarded in terms of story, but one of the most enigmatic characters appeared to be Enchantress, played by Cara Delevinge. We will see her full transformation in the film, as she begins as June Moon, an archaeologist. She undergoes a number of costume changes that reflect her evolution over the course of the movie’s runtime, and the battle between June and this supernatural being Enchantress rages within her. 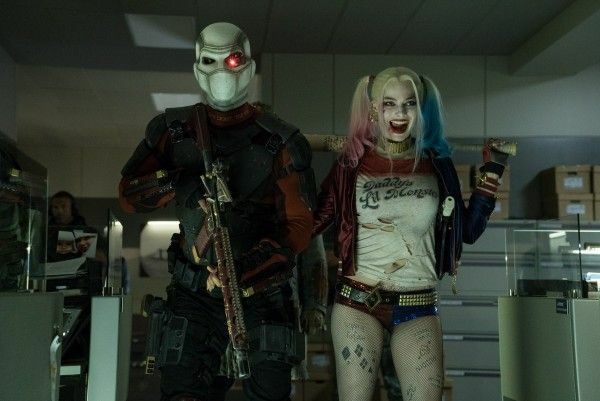 She has a strong connection to the Suicide Squad in the form of a romantic relationship with Kinnaman’s Rick Flagg. When Ayer met with the producers and Warner Bros. executives for the film, all ideas were on the table. It was Ayer, however, who really wanted to include Joker in the movie, and he worked heavily alongside Leto to develop their iteration of the character. He went through many permutations, and we saw plenty of concept art that showed the evolution of these concepts. Most striking was the character’s signature purple suit, which they originally planned to include, but after Leto signed on and the character evolved, it no longer suited this version of the villain. 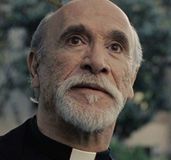 Leto is a method actor, and everyone we spoke to on set told us he remained in character the entire time he was on set. 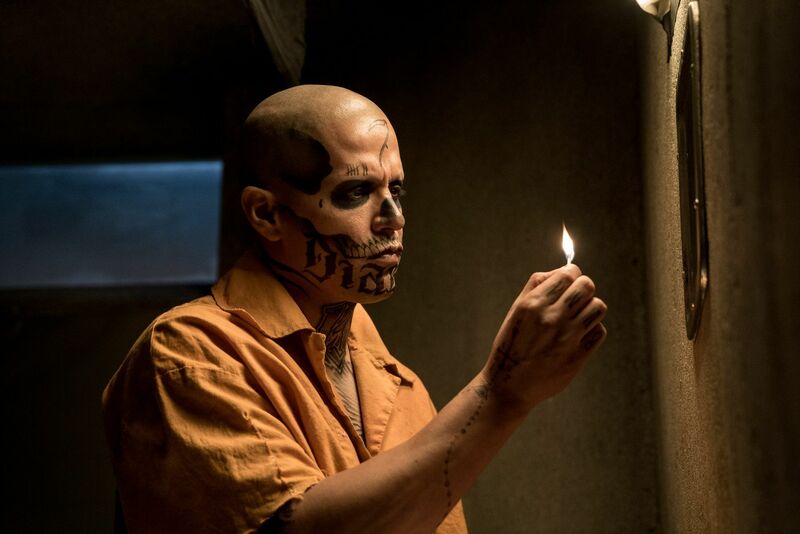 Ayer admitted that he had been keeping Leto separate from the rest of the cast during production in order to further enhance their performances, and given how intensely he worked with Leto during the development of the character, he was able to direct Leto/Joker on set using a verbal shorthand. Joker’s tattoos are one of the first noticeable differences Ayer and Leto brought to the character, and some of the early designs worked from the idea that Quinn would scribble on Joker with a sharpie while he was “out of it” at Arkham. This idea, like many others on the production, evolved over the course of development. A recurring theme on set seemed to be Ayer’s willingness to change and alter things—he wasn’t married to an idea simply because it was worked out months earlier. 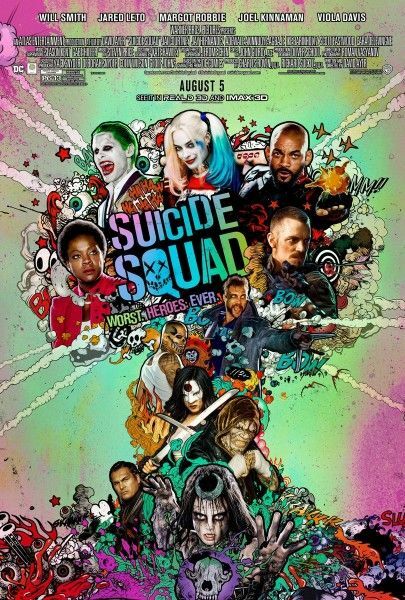 In summation, the big takeaway from my visit to the set of Suicide Squad was that this was very much David Ayer’s movie. It’s become somewhat cliché to describe Warner Bros. as a “filmmaker-driven studio,” but at least in the case of Suicide Squad, it’s true. From our discussions with the producers, costume designers, and actors it was clear that this was absolutely David Ayer’s vision for the film, from inception to execution, right down to using his regular cinematographer and putting his cast through his signature intense rehearsal process. And the kicker: the guy seemed to be having a blast directing a major DC Comics adaptation. 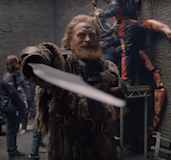 There’s much more to be gleaned from my time on set, so check out a more comprehensive list of things to know below links to the rest of my set visit coverage. Suicide Squad opens in theaters on August 5th. They began talking about the Expanded Universe while they were making Man of Steel, but Suicide Squad wasn’t firmed up until David Ayer pitched his take on the material. 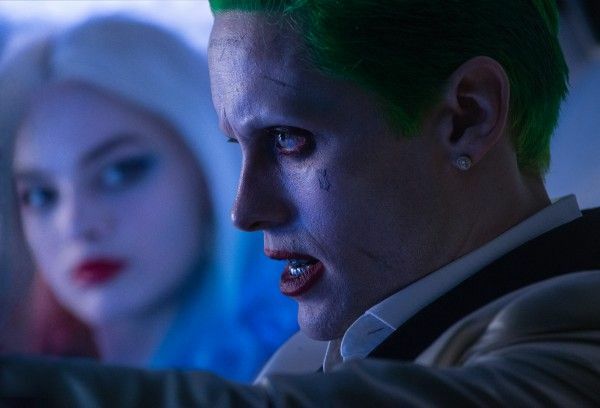 The film has a fractured narrative, with a number of flashbacks that reveal more of The Joker and Harley Quinn’s relationship in the world of casinos and gangsters. The Joker as a character was on the table, but they didn’t want to move forward with him until they had a part worthy of a great actor and a great actor who would play the part. For comics research, Margot Robbie sought out as many Harley Quinn comics as she could and then used the comics she got for Christmas, right after she got the role, to prepare. To justify Harley Quinn’s twisted relationship with The Joker, Robbie settled on codependency and compulsion as what drives her to keep going back to him. In rehearsals, David Ayer would push Robbie to jump on any weak spots her co-stars revealed and increase the tension as Harley Quinn, which is the opposite of what Robbie herself wanted to do. The intense rehearsal process consisted of Ayer pulling out deeply personal aspects of each actor to fully flesh out their characters. 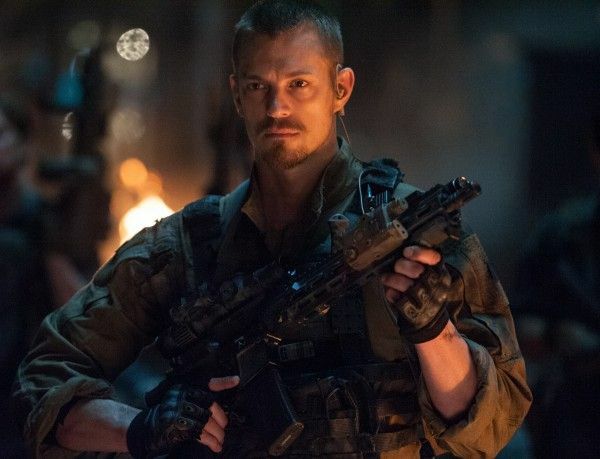 Joel Kinnaman’s Rick Flagg is described as the “right hand man” of Amanda Waller. Kinnaman gained 30 pounds in two months to beef up to play the character. They made an effort to make real, full-bodied characters instead of simply straight-up villains, but some will be more redeemable than others. 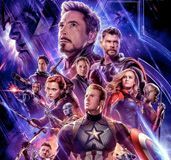 The “adversaries” in the film are being kept under wraps, but the producers hinted that they may not actually be pulling their own levers. The second unit director is Guy Norris, who worked on Mad Max: Fury Road. Putting Batman in the film was David Ayer’s idea and desire, because he has such a strong connection to so many of the characters in Belle Reve. Katana will have her Soultaker sword and yes, she speaks to it. They chose to shoot the outdoor Batmobile scenes knowing full well set photos and videos would leak, but they didn’t want to compromise the integrity of practical effects and using real streets. Before they started shooting the outdoor Batmobile scenes, they paraded it up and down the street so all the fans who had lined up could get their pictures out of the way. Scott Eastwood plays a Navy SEAL that’s part of the main mission alongside the Suicide Squad, not a comics character. Ayer chose which members of the Squad would be in the movie. There was no mandate from the studio. But he did collaborate with Geoff Johns when it came to crafting certain stories for some of the characters. While on set, the producers stressed that the film has a tremendous sense of humor as a result of putting this dysfunctional family together. 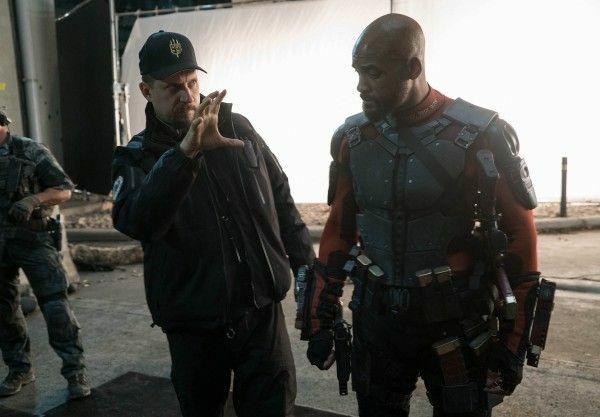 David Ayer wrote the character of Deadshot for Will Smith. Deadshot is in his mask for a fair amount of time of the film. Diablo’s fire powers are a mix of practical and CG effects. Diablo’s prison cell can be flooded if he starts to light up. All of the actors would worked out together during their downtime. During rehearsals, Ayer had the cast spar with one another. David Ayer would come up with new ideas on set, or hand over new pages that he just wrote that ended up being an entire monologue. There’s a love story between Rick Flagg and June Moon. When creating the look of Killer Croc, Ayer and Akinnuoye-Agbaje wanted to ground him in reality as much as possible, so many of the skin tones are blended with the actor’s real skin tones. The full body Killer Croc makeup took six hours to put on. For research, Akinnuoye-Agbaje went down to the everglades in Fort Lauderdale to watch and videotape crocodiles. This lead to him developing signature moves for his character when he launches into his prey. 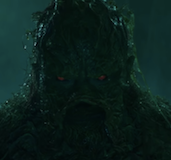 Akinnuoye-Agbaje developed a specific walk for Killer Croc that is sinuous, almost as if he’s moving through water. During filming, Akinnuoye-Agbaje deliberately kept himself away from the cast so that they would be wary of him. Killer Croc has a Bronx accent. Akinnuoye-Agbaje worked with a dialogue coach. 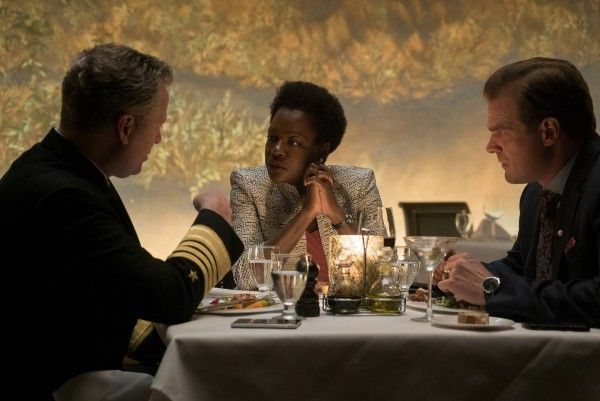 In terms of design, Ayer wanted all of the Suicide Squad to come from a very gritty, real-based urban world, with Joker at the top of the criminal underworld tree. One of the first things costume designer Kate Hawley was asked to work on was Joker’s ring, which is like a papal ring. Some of the Joker’s design was inspired by bespoke Mexican cartel leaders. One of the early ideas for Joker’s tattoos was that Harley Quinn had tattooed him, sort of scribbling on him while he was out of it one night. They explored the design of Harley Quinn thoroughly before settling on the final costume, even going so far as to mock up the original jester’s costume. There’s a reinvention in the film of the moment from the comics with the traditional Joker in the black-and-white tailcoat holding Harley. There’s a scene in one of Joker’s clubs in which he has gold go-go dancers all wearing Batman masks. Enchantress’ costume designs are all rooted in North American history. To audition for Katana, Fukhara had to perform a monologue and then do both a martial arts demonstration and a sword fighting demonstration. 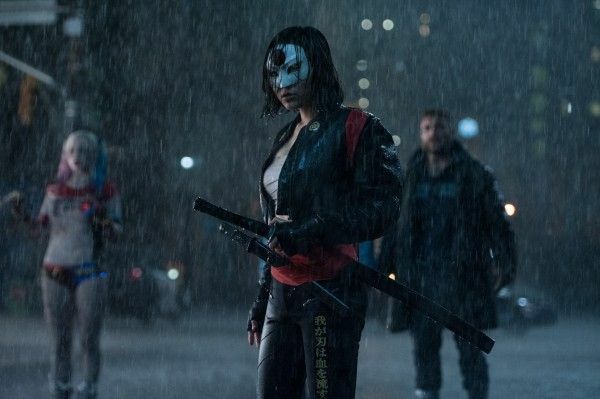 Katana’s backstory involving her family isn’t explicitly addressed in the film, but the soul of her husband is in her sword and she does have conversations with it. Katana has a strong bond with Rick Flagg. Will Smith would rap with the cast in between takes. Early designs for The Joker included his iconic purple suit, but after Jared Leto signed on the take on the character evolved. In order to keep the film’s secrets secure, no one got a hard copy of the script—it was all done online. Midway City figures into the film (Note: I previously noted the city was located between Gotham and Metropolis, but the geography established in Batman v Superman and Suicide Squad doesn’t back that up).